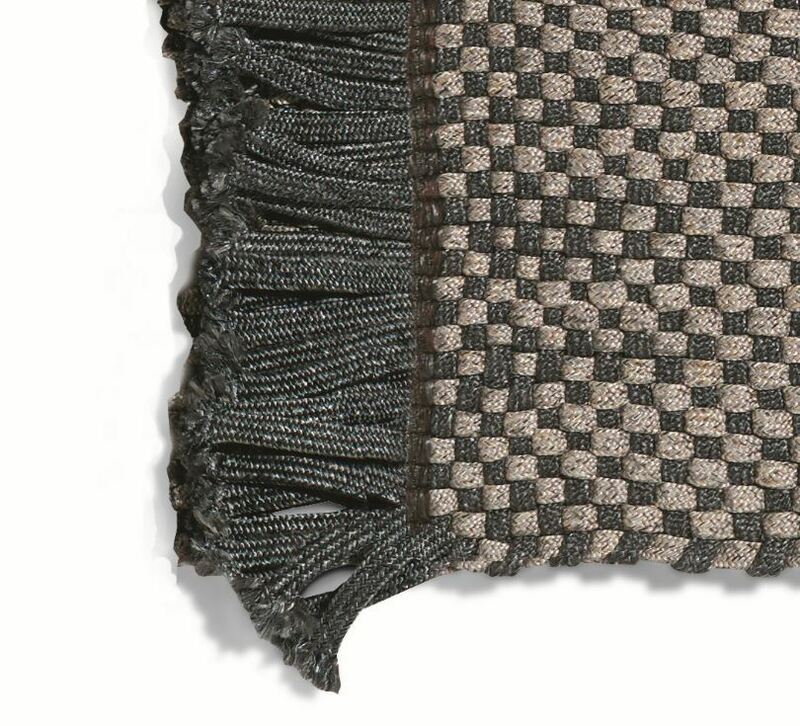 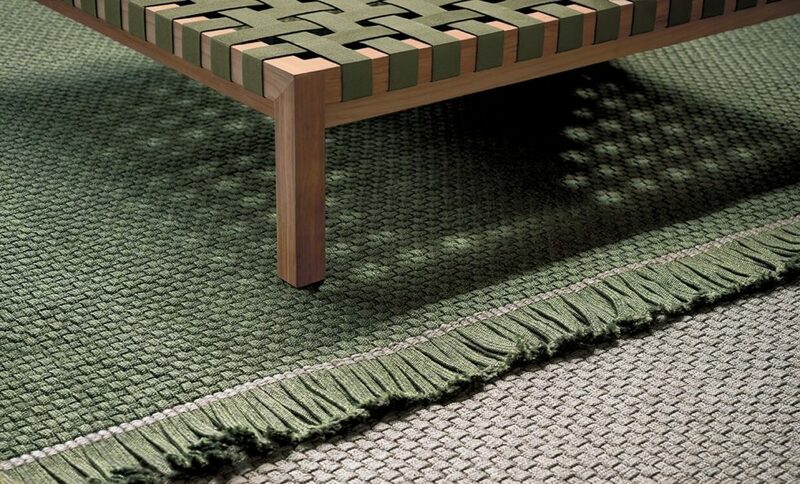 KNOT is a collection of outdoor carpets where the sartorial quality of engraving, made by hand on frames, creates a perfect union between craftsmanship and contemporaneity. 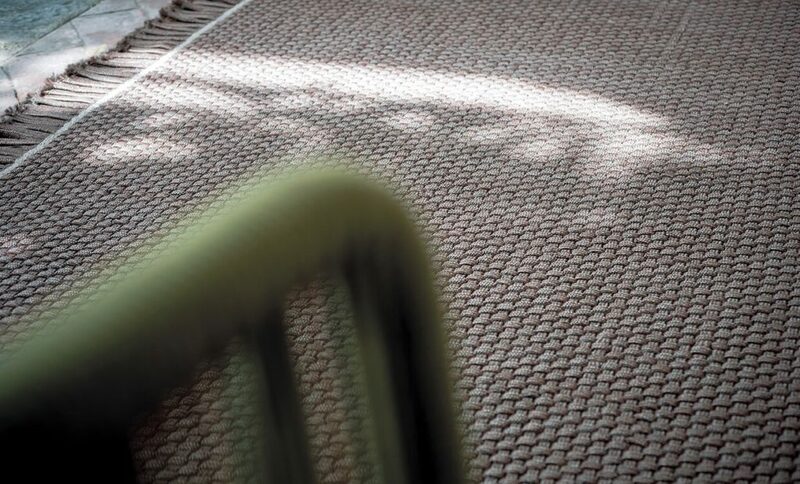 Made of polypropylene fibreboard fibers, the carpet of the KNOT collection offers high-performance outdoor performances while maintaining a soft look, both in touch and in sight. 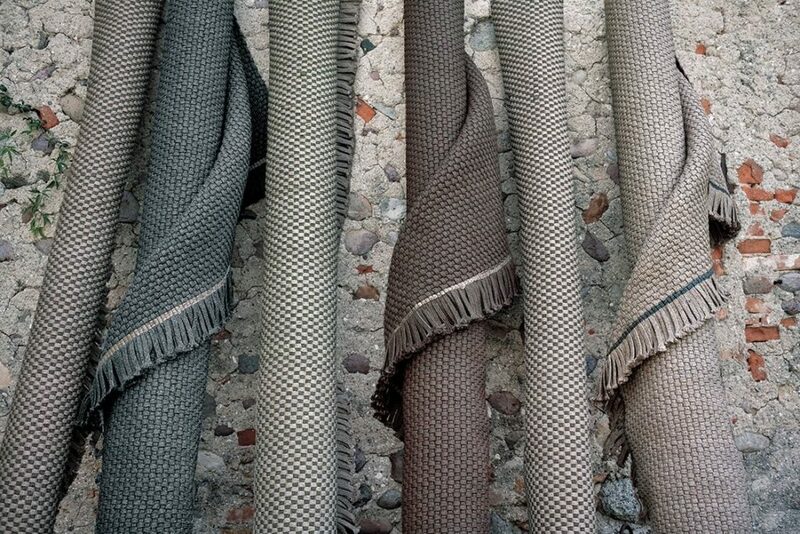 The KNOT collection declines in several color variants, inspired by the shades in nature: four monochrome and three bicolor designs, where the interlacing of the two dyes gives rise to a geometric chessboard warp. 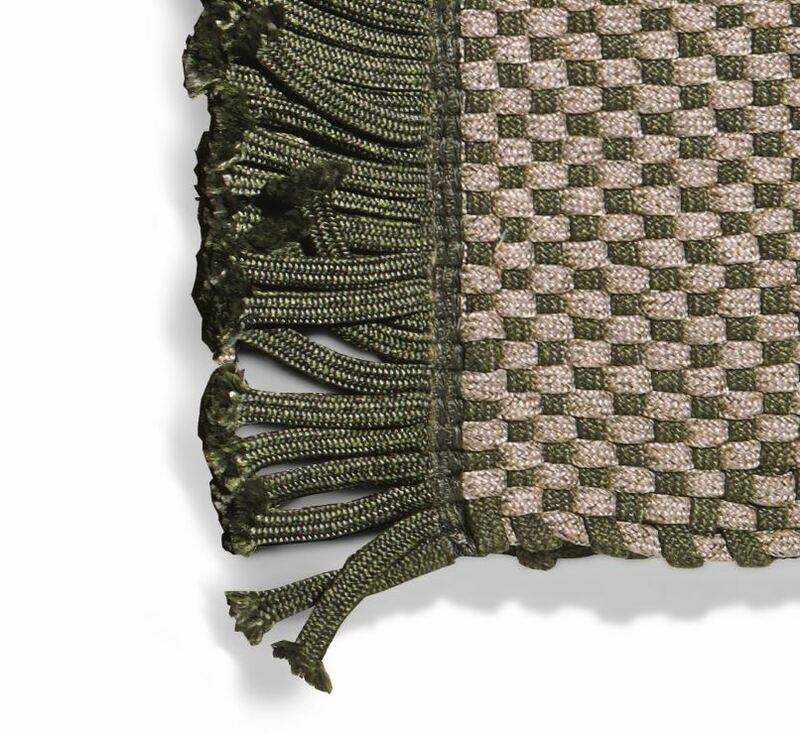 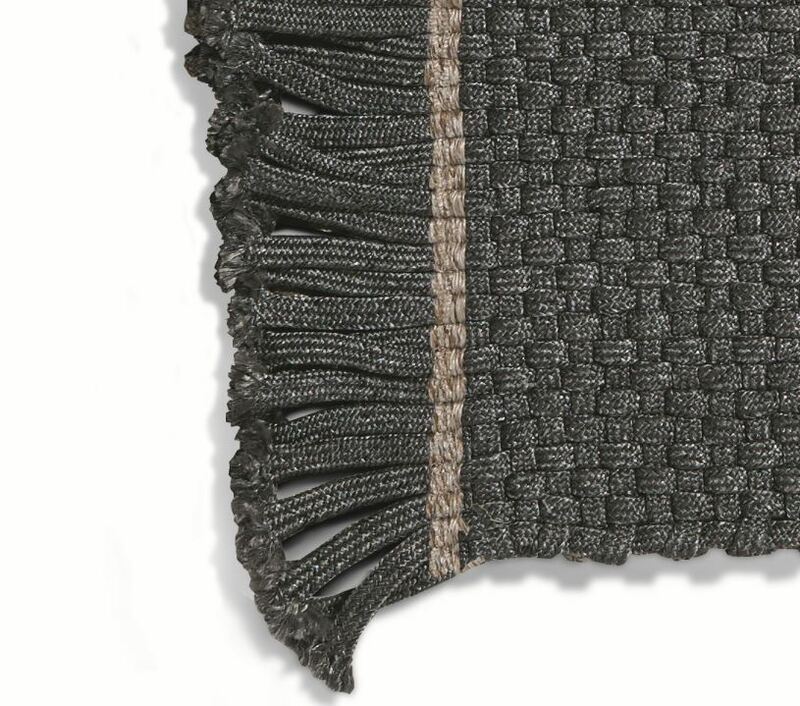 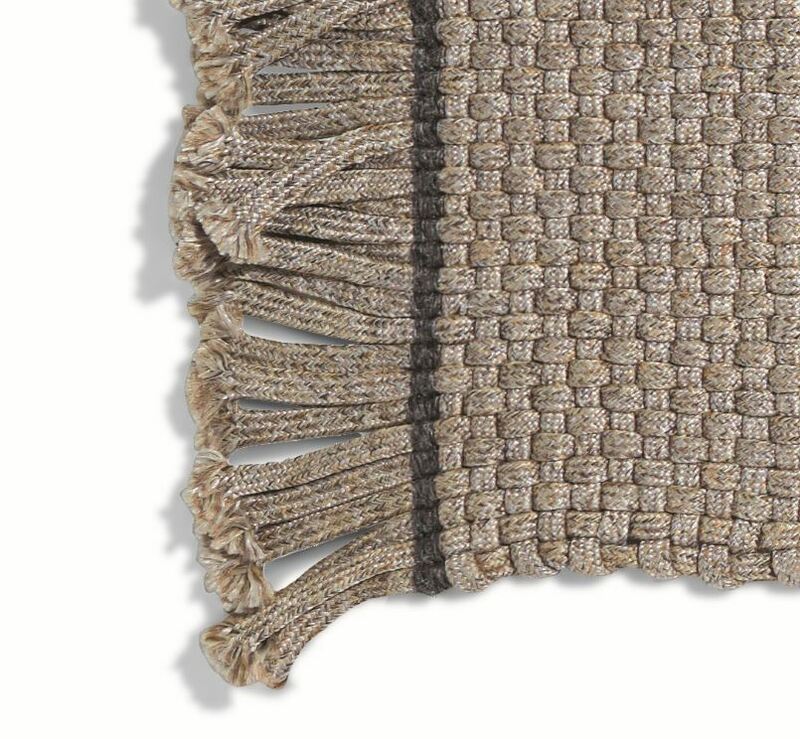 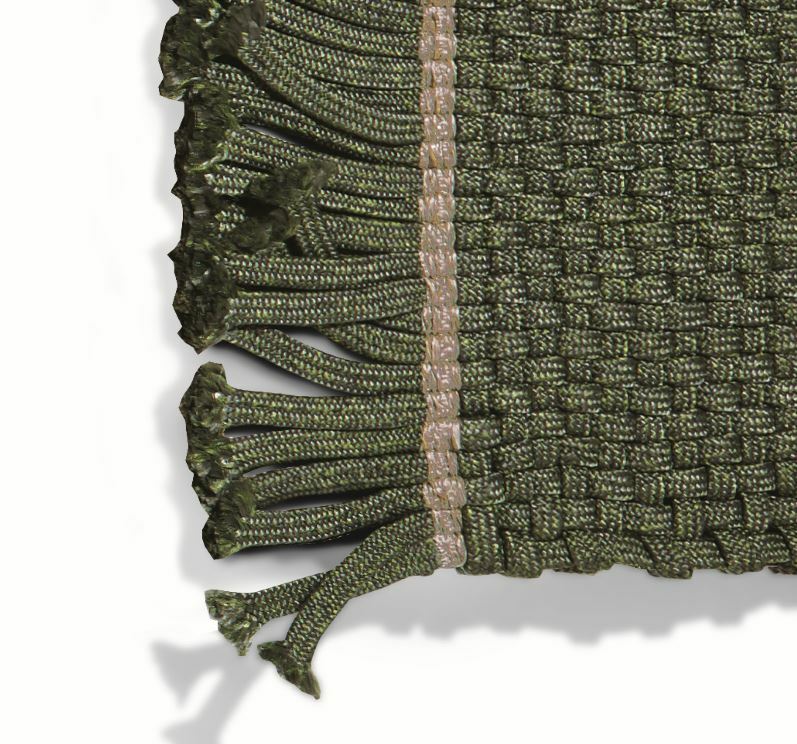 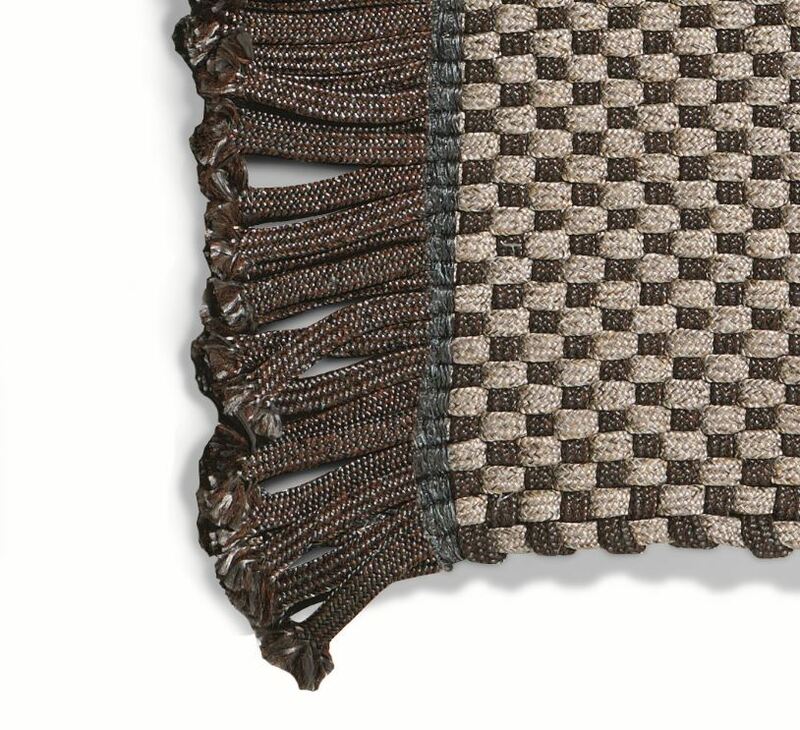 Sand, dark gray, brown and moss green therefore live as shades joined or harmoniously joined together, further embellished by fringe ton on tone. 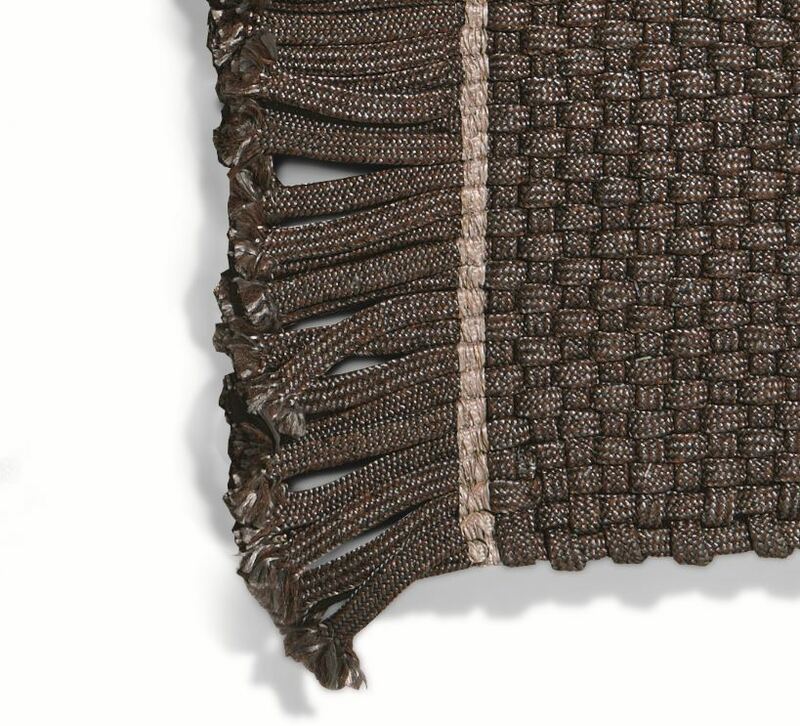 The fringes are always positioned on the 3 meter side.